In most cases the operating system that is running on your computer might not be the latest one. OS vendors frequently releases newer version of their product; in order to reap the full benefits of the OS, it is mandatory to update or upgrade it. For example, Microsoft has released the latest version of Windows which is Windows 10 and so most PCs run on Windows 10, unless you are an ardent fan of the earlier versions of Windows. You must be wondering, which file or process in the Windows OS is responsible for upgrading and updating the operating system. Well, like other jobs in Windows, for the purpose of upgrading the OS, there is a specific file called the CompatTelRunner.exe. Also known as Windows Compatibility Telemetry, this file or process sends periodical usage and performance data so that user experience is enhanced and some potential errors are rectified. CompatTelRunner.exe is a system file and an important part of Windows and is located in the C:\Windows\System32 folder. 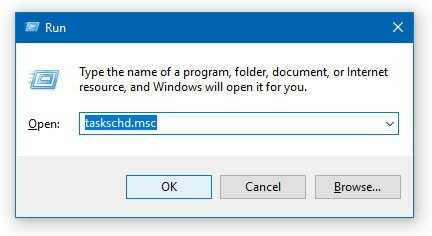 This article is a part of our Windows explanatory series which explains different process found in Task manager like rundll32.exe, svchost.exe, dllhost.exe, Windows Modules Installer, dwm.exe and more. 1 What Is Microsoft Compatibility Telemetry? 1.2 Is CompatTelRunner.exe a virus? 2.2 How to Prevent CompatTelRunner.exe Infection? 2.3 Is It Bad for Microsoft to Track Your Windows Usage? Microsoft has always invested a lot in enhancing the user experience. And, as a part of it, the company has introduced the compatibility telemetry in most of the Windows versions. With Microsoft Compatibility Telemetry, the company gathers information from all the computer and combines these information to improve the services of Windows and enhance the user experience as well as make the OS secured. Moreover its primary function is to keep Windows updated along with analyzing the use of Windows and helping in its improvement. Let’s check some of the important functions of CompatTelRunner.exe in Windows OS. 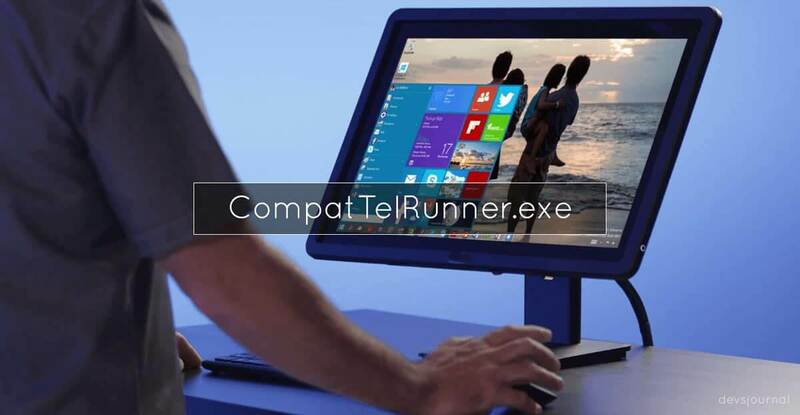 CompatTelRunner.exe file or process is responsible for upgradation of the Windows OS to the latest version. It is introduced by Microsoft and is a integral part of the latest windows versions. To perform System diagnostics and determine if there are any compatibility issue. To upgrade your Windows OS to the latest version. Collects program telemetry information (if that option is selected) for the Microsoft Customer Experience Improvement Program. CompatTelRunner.exe is essentially not a virus! It is a verified process signed by Microsoft. However, the file may get affected to malware and virus infections. The fact that this process uses a high amount of CPU resources might exhibit it as a virus or malicious file. Contrary to that, CompatTelRunner.exe is actually a safe and legit file of the Windows system. Most often viruses and malwares are disguised as CompatTelRunner.exe and distributed through various medium including emails. On being infected by virus, any .exe files including CompatTelRunner.exe will give rise to various kinds of errors. 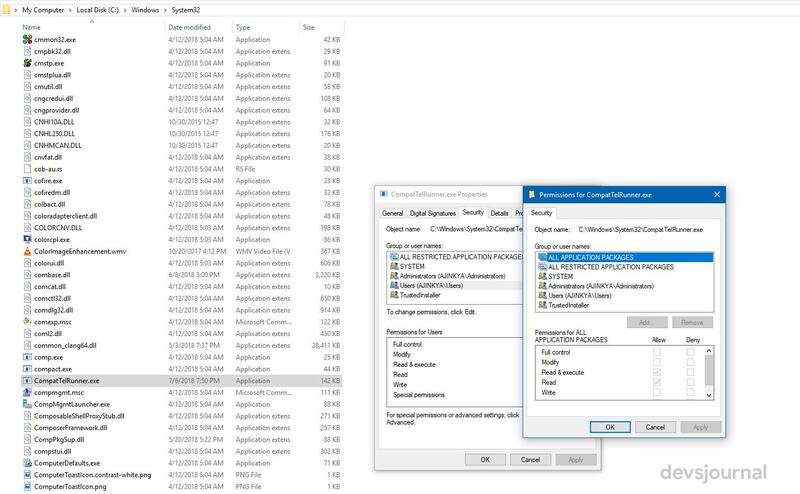 CompatTelRunner.exe is not a valid Win32 application. CompatTelRunner.exe has encountered a problem and needs to close. We are sorry for the inconvenience. Conducting a full malware scan of your PC. Cleaning up the System junk files with disk cleanup. Performing a clean Windows installation. The CompatTelRunner.exe process often has the notoriety of consuming a good chunk of CPU resources. It is hence wrongly perceived as a malicious program. But, as already mentioned CompatTelRunner.exe is not at all a virus or malicious file. If any disadvantage this file have, then it will be mainly the CPU usage. Regardless of that, the CompatTelRunner.exe process can be disabled if it is consuming a lot of CPU resources making your PC slow. Let’s see how to do that. CompatTelRunner.exe is not an essential file of the Windows OS, which means the OS operates fine without it as well! This is why it can be disabled if in case it is consuming lots of disk usage or CPU usage in your computer. On disabling the process, the OS simply does not run the compatibility checks and performs upgrade from your current OS to the latest available one. Like from Windows 7 or Windows 8/8.1 to Windows 10. There are three ways of disabling the CompatTelRunner.exe process in your system. We will discuss each of these processes in details. Read along to know. Follow the below steps to disable CompatTelRunner.exe in your system. Step 1. Press Windows key and R simultaneously in your keyboard and then type taskschd.msc and hit enter. Step 2. 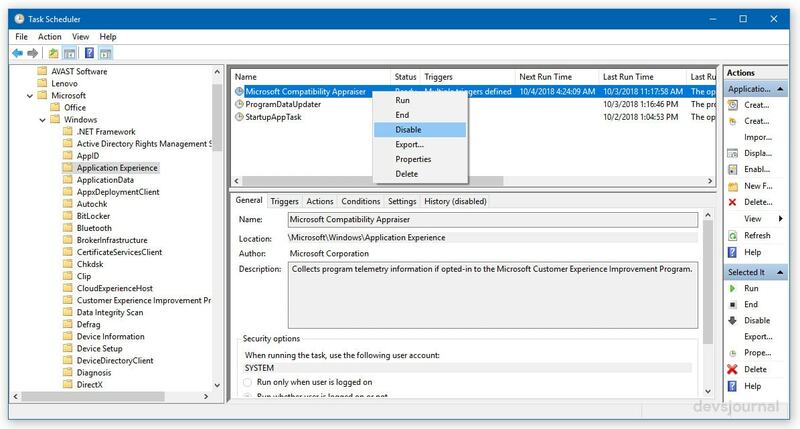 Expand: Task Scheduler Library > Microsoft > Windows > Application Experience. On the right side of the pane. Step 3. Now right click on the task with the name Microsoft Compatibility Appraiser and choose Disable. Simultaneously press the Windows key and R and then type C:\Windows\System32 and hit enter. Now locate CompatTelRunner.exe and right click on it to choose Properties. Go to Security tab, and then choose Advanced button. Go to Owner tab, then choose Edit button. You will be able to choose as Administrators. Then click Apply and OK to save the change. A notification will then popup. Now close all the properties Windows and hit Ok in the notification dialog that has popped up. Right click CompatTelRunner.exe and choose Properties again. And also go to Security tab and click Advanced button. This time, choose Permissions tab, and choose the account you are using from the list and click Edit. Select the user account that you are using and click the Allow box for Full control. Then hit OK to save the change. Finally, you can delete the CompatTelRunner.exe file and get rid of all the problems that you are facing. 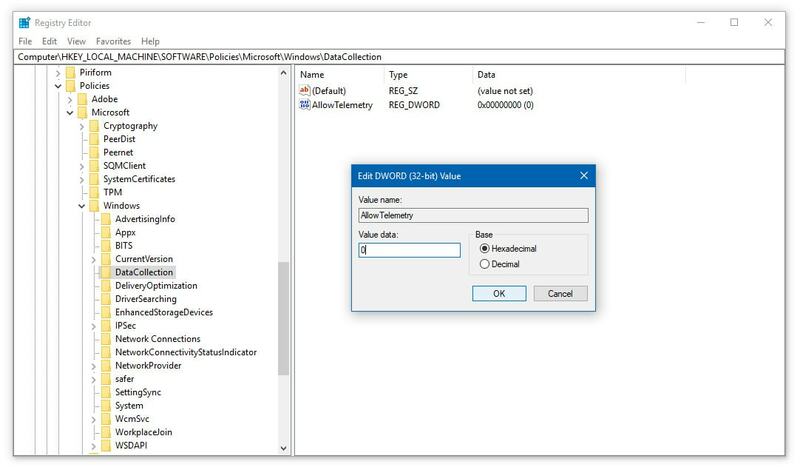 The Compatibility Telemetry in Windows 10 can be disabled using the registry editor. Follow the below steps to achieve that. 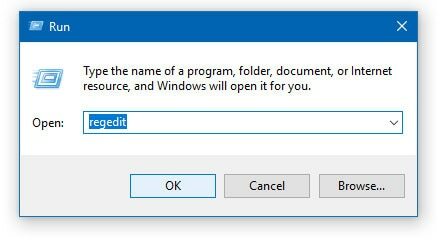 Step 1: Open the Registry editor by typing regedit in the Run window. Step 2: Now you need to navigate to the below-given key. Step 3: In this section create a new DWORD of 32-bit having the name AllowTelemetry and then assign it a 0 value. Completing this step will disable the Telemetry. But if there is no key, you will be required to create one. Step 4: In the next step you will have to disable the Connected User Experience and Telemetry Service. Step 5: To perform step no. 3, run services.msc from the run window and then locate the above-given option. 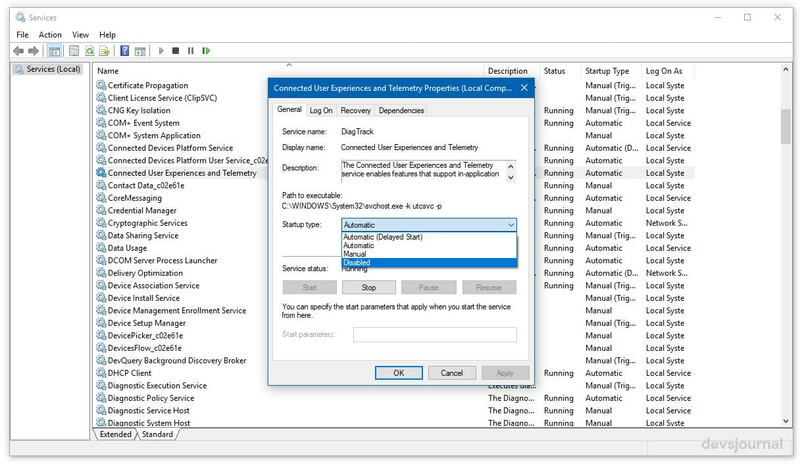 Step 6: Right Click on the “Connected User Experience and Telemetry Service” select Properties. Under Startup type option, select “Disabled”. Alternatively, you can also disable the Telemetry by using Windows PowerShell. You can run the following commands to achieve the same. Most often CompatTelRunner.exe process runs for a longer period of time , thereby consuming high disk capacity. Moreover, multiple CompatTelRunner.exe processes may also show up in the task manager consuming high CPU and disk usage. This ultimately slows down the speed of the entire computer and may even lead to its ‘freezing’. This problem is known as CompatTelRunner.exe high disk usage issue and is common in Windows 7 and Windows 10 computers. However, there are solutions available for this problem and so it can resolved with these solutions. The solutions for this problem is obviously to disable or delete the CompatTelRunner.exe process, the procedure of which has already been discussed above. In the command prompt window, type sfc/scannow and hit Enter. Wait patiently and let the process finish. Afterward, restart your computer. How to Prevent CompatTelRunner.exe Infection? Do not install free applications from unreliable websites. Even if you install these applications, always use custom download and uncheck the suspicious files that seems questionable. Always use anti virus in your PC. Scan your computer at least once in a week. Once you have completed disabling or deleting the CompatTelRunner.exe process from your system, you would require to reset the settings of your browser. These can be done by following the below mentioned tips. Google Chrome: Go to settings tab and click on Advanced Settings. In the bottom of the page find and click on “Reset Settings” button. Mozilla Firefox: On the top right corner find and click on the “Refresh Firefox” button. Opera: Opera users can resets settings by deleting “operapref.ini” file in C:/users/user_name/AppData/Roaming/Opera/Opera. Is It Bad for Microsoft to Track Your Windows Usage? The discussion above must have left you with the thought if Microsoft is using or tracking your private data. Well, the sole use of CompatTelRunner.exe is to gather as much user information from the various computers across the globe running on Windows. Talking about information, it should be clear that Microsoft gathers only the Windows user’s usage habits and patterns. These patterns are rigorously checked and studied by Microsoft for understanding the user’s experience with the operating system. Such studies enables Microsoft in developing a far better version of Windows in later times. Using CompatTelRunner.exe file, Microsoft collects user informations and combines the data for enhancing the experience of users with the OS. CompatTelRunner.exe is not a virus. CompatTelRunner.exe file can be disabled or deleted without creating any hindrance to the Operating System. Hope that this article has helped you in figuring out the unknown facts about this particular file of the Windows OS and also provided information regarding how to solve the disk and CPU usage issue by the process. Before concluding the discussion, we would like to suggest you to use the commands mentioned in this article with care as any small mistake may create glitches in your system.